You’ve been up since 5AM, you are hot and tired and certain people in your group are getting ready to crack! You need a place where you can have some Disneyland fun at California Adventure and cool down before there is a melt down! Why not head on over to California Adventure’s Hollywood Pictures Backlot and check out the Disney Animation Building? There are plenty of indoor activities to keep your whole party busy, and even during the busiest summer days, this Disney family has always found the Disney Animation Building to be a nice reprieve from the crowds waiting in line. You enter into the Animation Courtyard which is a large round room with large projection screens showing short animated cartoons and original sketches of Disney characters. This room is perfect for everyone to find a seat, stretch out and take a break from the hot California sun (this makes an awesome place for Disney baby to nap too). Branching out from the Animation Courtyard, there are lots of other areas to explore. One of the most popular attractions housed in the Disney Animation Building is Turtle Talk with Crush. This is a great show for kids and adults alike. Here visitors can interact with Nemo’s turtle friend ( using a “hydrophone”. With this, Crush and the audience are able to talk to each other and ask each other questions. Kids are encouraged to sit down front on the lily pads on the floor while mom and dad take a seat on the benches behind them. Turtles and humans alike learn valuable facts about each other, and you may even learn how to talk turtle, Dude! After hangin’ with Crush, head over to the Sorcerer’s Workshop. This area is full of interactive, hands-on activities. Visitors can learn about simple animation in the Magic Mirror Realm and bring their own simple drawing to life. You can choose to record your voice for an animated film in Ursula’s grotto. Pick a scene and sing or speak and watch the replay using your own voice. Venture into the Beast’s Library to find which Disney character you are most like and slowly watch as the library fades to ruins as the petals from the rose begin to fall. In Character Close Up, you can find out how some of the Disney Characters were created by artists. Visitors can see how sketches and artwork change and turn into a 3-D model and then finally become an animated character. Don’t forget to check out the Toy Story Zoetrope either. This crazy looking contraption shows beloved 3-D Toy Story characters come to life through spinning and strobe lights instead of traditional drawings and animation. 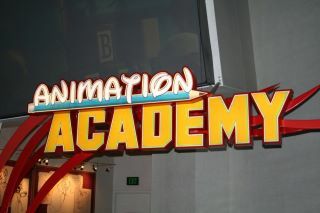 My Disney Family’s Favorite is the Animation Academy. Here guests become art students and learn how to take lines and simple shapes and turn them into Disney characters. You are given a sheet of paper and a pencil (with no eraser) and shown on an overhead (by a Disney animator) how to sketch and work with the lines till you get the look you are going for. Each class runs close to 15 minutes and classes are offered throughout the day. Each class consists of learning to draw a new character. This is a great activity for any age or skill level. Plus, these make great FREE souvenir for you to take home. We do this multiple times per visit and have never drawn the same character twice! Next time your crew is in the need for a little down time at California Adventure, head on over to the Disney Animation Building where you can talk with a turtle, watch a cartoon, or learn to draw your favorite character! As a Disneyland Annual Passholder for over fifteen years, it is clear that I love to be in the parks! I am a huge fan of all things Disney, but mostly the Muppets and Flynn Rider. On many weekends you can find me sipping a Mint Julep in New Orleans Square at Disneyland with my Disney loving husband and my two Disney loving children plotting which ride to go on next. 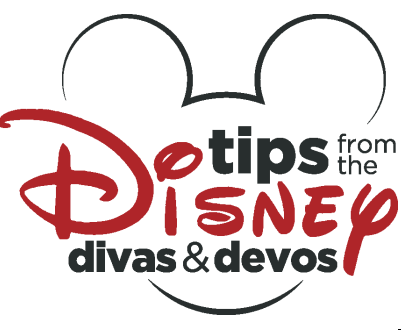 I am Editor and Co-Director of the Tips from the Disney Diva site.